In a push towards automation, Delhi Metro Rail Corporation (DMRC) is launching new driverless trains in the city, with a trial run from July 1, 2016. 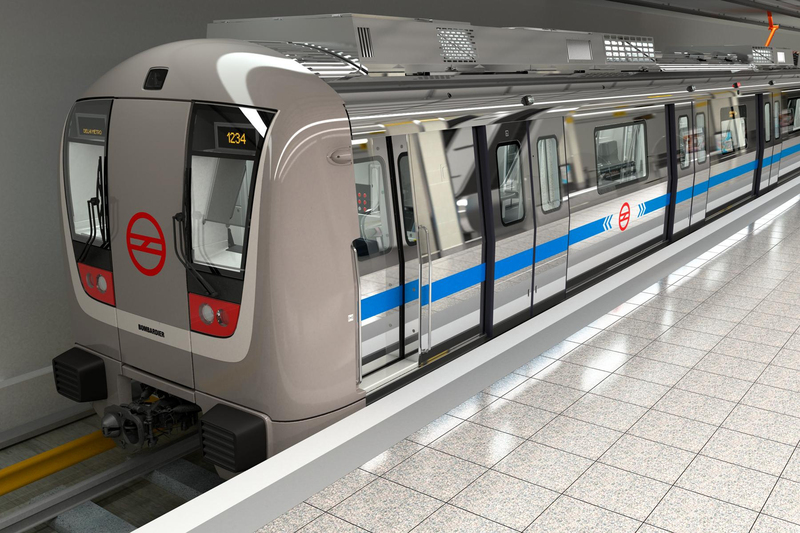 Delhi Metro Rail Corporation (DMRC) is launching 81 driverless metros and it will start testing them in July. The trains, which are being developed at Bharat Earth Movers Limited (BEML), a mining company in Bengaluru, will be equipped with cameras and sensors that will stand in for human operators and will run with a maximum speed of 95 kilometers per hour. The newly built coaches were launched on April 6, 2016, and trial runs will likely start in July, however the driverless operations will start in 2017. DMRC managing director Mangu Singh announced that the trail runs will start from Janak Puri to Botanical Garden from July 1, ITO to Kashmere Gate sometime in July and Mukundpur to Shiv Vihar from October 16. With two front-facing cameras to keep a tab on the tracks and prevent suicides, additional emergency buttons, on-board Wi-Fi facility, digital route map on LED screen, charging sockets and USB ports and special place allotted for travelers on wheel chairs, the trains will provide for a totally different experience. The coaches will also be more spacious with increased seating capacity. With the new colour-coded seats and change in design, the capacity of six-coach trains has been increased to 1,866 from 1,780 people per train. The trains will be controlled from a control room and operations will be automated. Operations like start, halt, acceleration, brakes, closing and opening of doors, will be remote controlled. Additionally, obstruction deflection device to remove small obstructions on track to avoid derailment and collision will be installed in the trains. With noise dampers to reduce the wheel noise, higher acceleration resulting in 10 pc increase in schedule speed and increased regeneration to the lower energy consumption by 20 pc, the new cutting-edge metros will be a treat for the travelers.